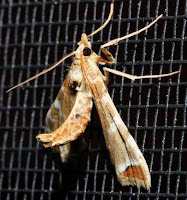 Moths age. They often look tattered and torn with damaged wings, legs missing, broken or missing antennae and so on. One of the most difficult from an identification point of view is the loss of scales. 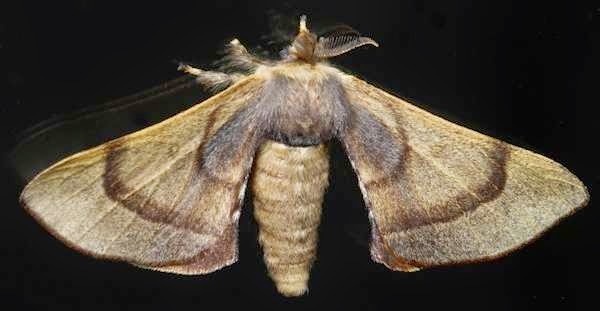 The reduction in markings and colours can make comparison difficult. 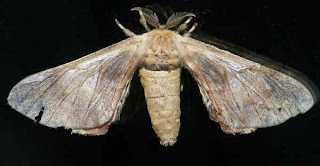 It is not uncommon to have an old moth with no scales on its wings, leaving only the underlying membrane. 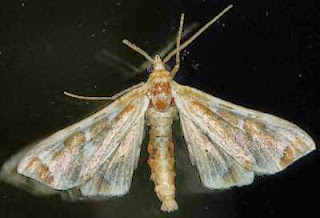 Left:- There are no longer has scales on its wings. below, both show the moths in good condition and after they have lost scales. 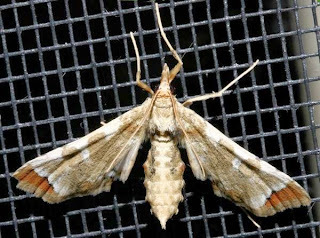 In the case of Gastridiota adoxima, because it is a fairly rare visitor here, it is probably the same moth and the nearly total loss of scales was a little over a week. 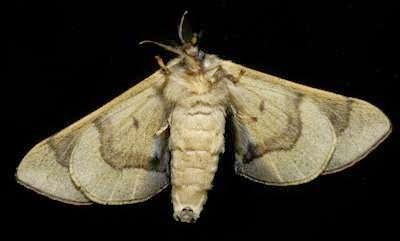 The family BOMBYCIDAE includes the commercial silkworm moths and the larvae feed on native figs (Ficus (Moraceae)).